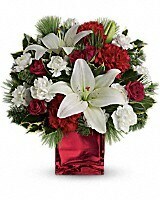 Caroling In The Snow by Teleflora - by Flemington Floral Co. & Greenhouses, Inc. 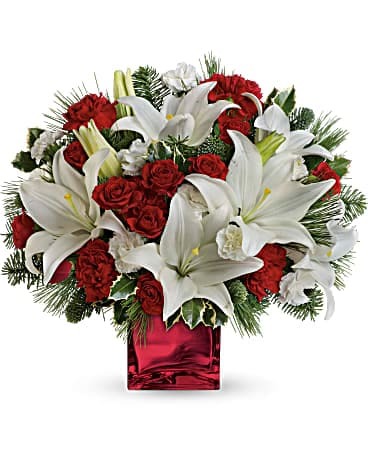 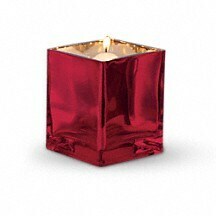 This festive holiday bouquet includes red roses and white asiatic lilies presented in our red mirrored cube. 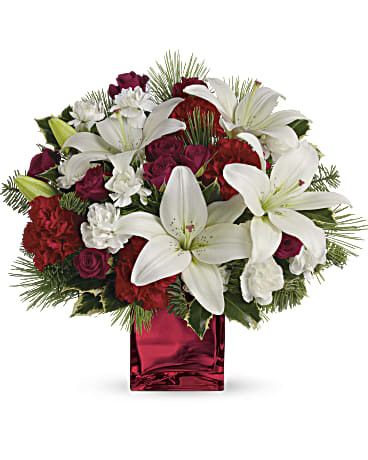 Please note that this picture is taken with all of the flowers in the front. It is to be a centerpiece so when it is made it will not be as full.